This single color ball pad printer,automatic PVC ball pad printing machine,football basket ball pad printing equipment,air ball pad print machines equipments adopts servo motor drive,ball linear guide,smooth operation,noiseless and high efficient printing.Its pad printing tolerance is within +/-0.02mm. The Single color ball pad printer,automatic PVC ball pad printing machine,football basket ball pad printing equipment,air ball pad print machines equipments are also suitable to print color on safety helment, safety cap, hard hat and the sports wears such as protection pads shoulders etc. With automatic ink adding system: The independent ink pump draws out ink for every printing color to avoid ink splashing. No need to add auxiliary materials by manual. With touch screen PLC programmable controller, all start up procedures are set through your finger. Builds with automatic drying system,it is able to do the web dot printing and ensure the perfect favor of printing pattern. No dirty in rubber head. 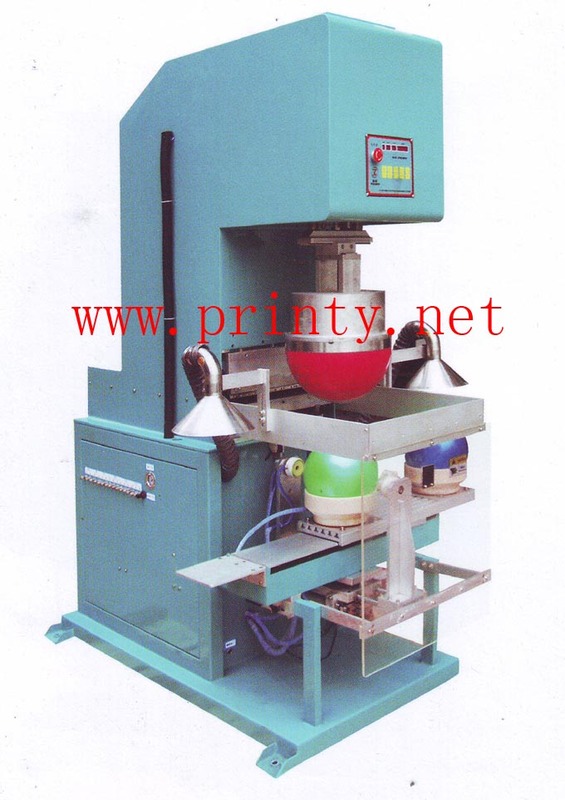 The creative ball printing rubber head provides independent air reservoir for every rubber head to ensure the pressure balance of rubber head during printing process, and avoids the printing pattern transformation. Additional functions such as automatic loading and unloading etc can be attached to the whole ball pad printing machine to achieve high automatic production needs.